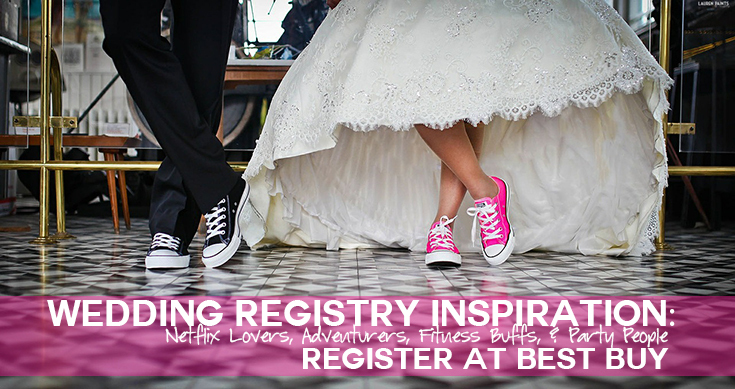 Wedding Registry Inspiration: Entertainment Lovers, Adventurers, Fitness Buffs, and Party People Register at Best Buy! In today's day and age, when registering for your wedding you almost have unlimited options. Whether you want to build a universal registry that has a little bit of everything you've ever dreamed of or a wedding registry full of items to help you and your new spouse entertain new friends, you know you can find almost everything you need on the internet. Rather than fill a list of random items to celebrate your big day, I highly recommend limiting your list to items that fit you and your spouse and the things you need in your life. Whether you and your honey are the type to binge watch netflix, go for roadtrips every weekend, workout every single day, or have a raging party in your new home, Best Buy has everything you'll need to start building your life together and you can register for it all on their website! If you are the type that likes to watch Netflix I highly recommend you add these necessities to your list; with everything from state of the art TV's to the most amazing surround systems, Best Buy is bound to everything you'll need! Some couples are more apt to travel the world once they tie the knot, luckily Best Buy has everything you'll need once you start exploring with your spouse! 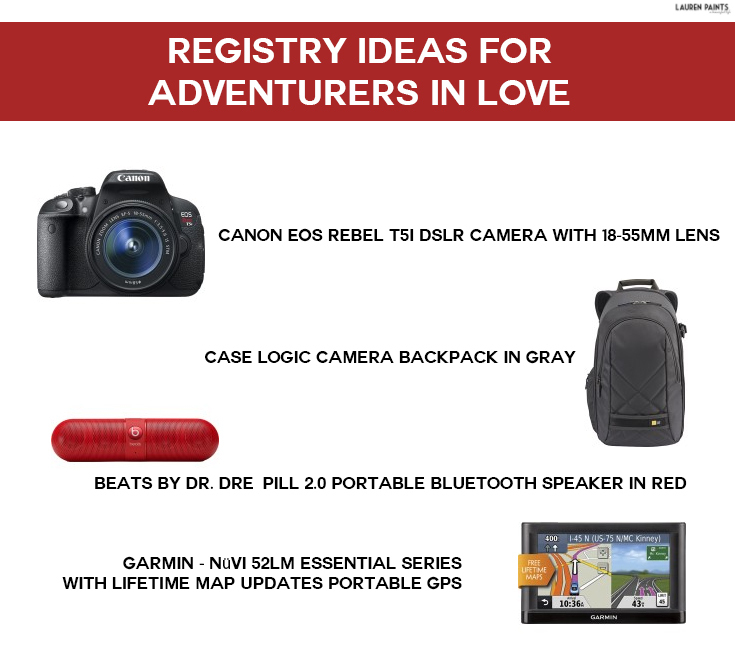 From a reliable GPS to the perfect camera, you'll be able to add all of it to your registry! 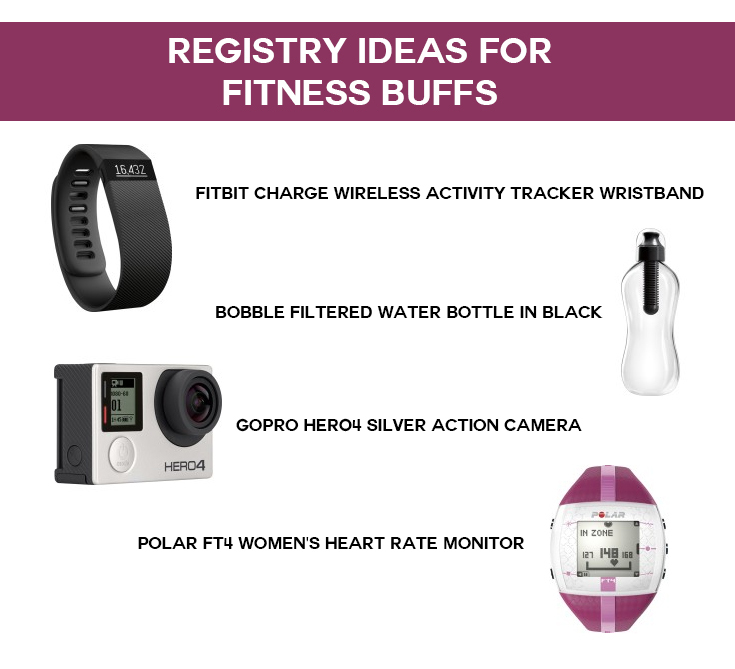 If you and your spouse are fitness buffs you'll be head over heels in love with all of the items you can add to your Best Buy wedding registry! With all kinds of fit gear like heart rate monitors, fitness monitors, and more, you can get everything you'll need to stay in shape with your sweetie! 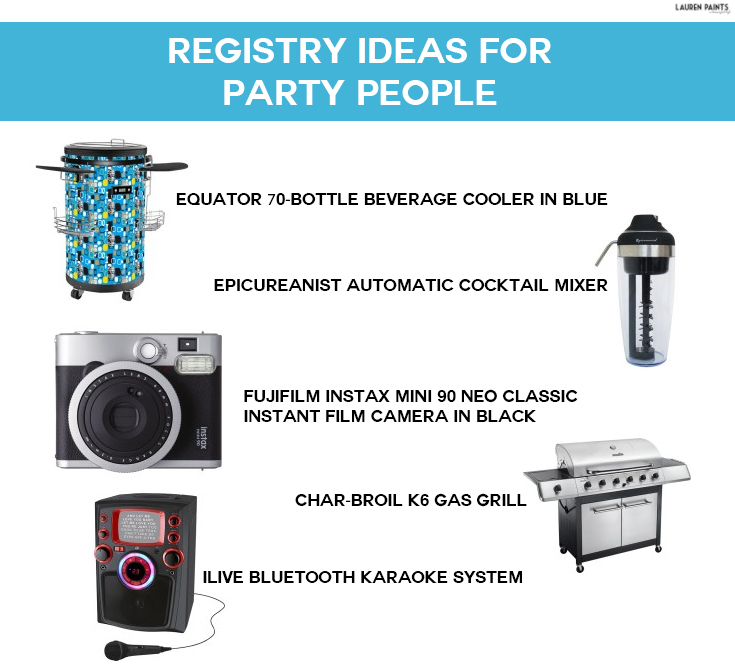 Your reception will be hard to top, but with all the entertainment gear you can register for at Best Buy you may be able to wow your friends with another epic party! 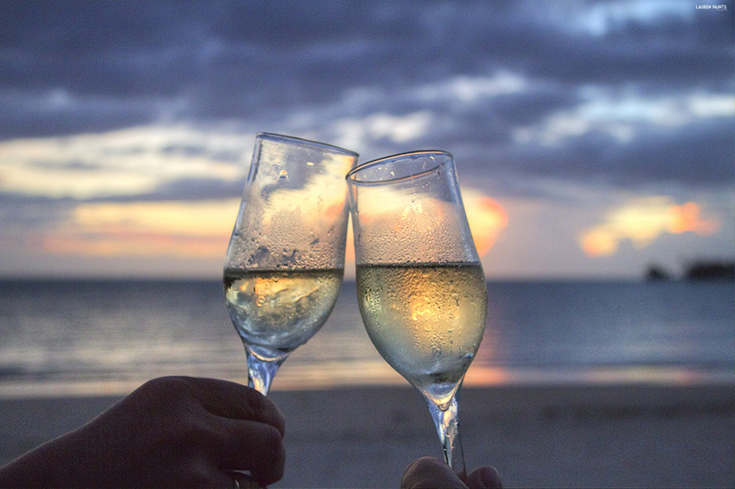 If you and your honey love to entertain your friends then you'll want to add these items to your registry to be sure that you have a flawless party every time! 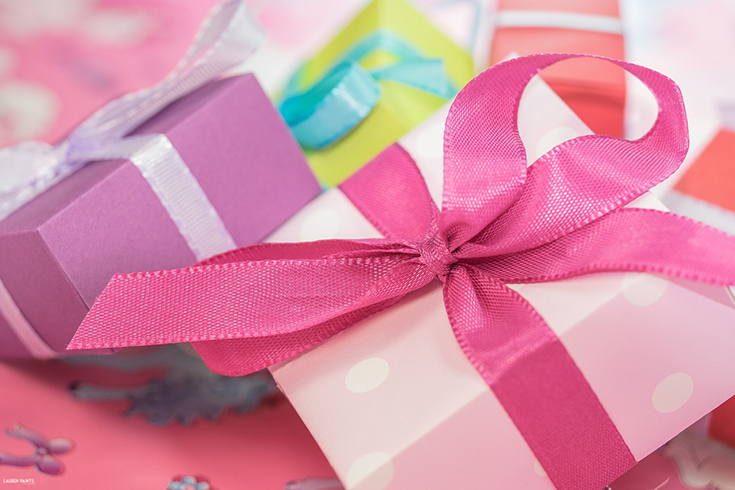 If you are worried that you are asking for too much, don't forget the option of "group gifting"... It allows couples to ask for what they really, really want, without asking their guests to spend more than they are comfortable with—so they can dream big without stressing their guests out! 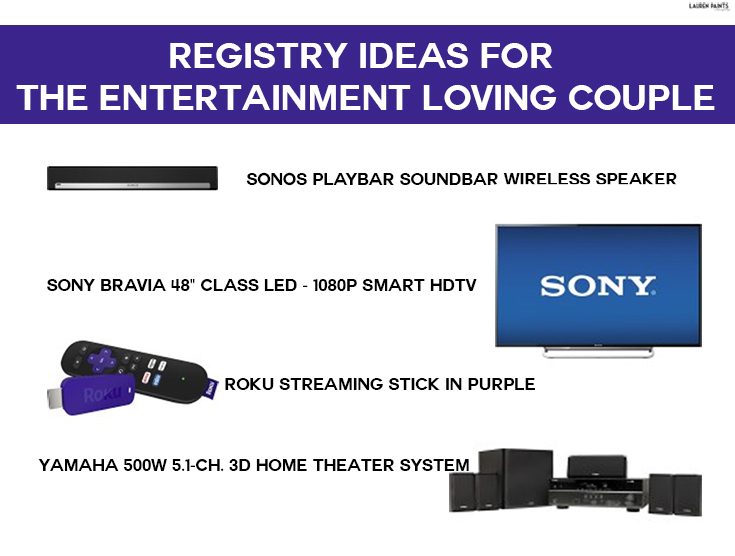 Now that I've shared some wedding registry inspiration, I'd love to know what you want to add to your Best Buy wedding registry... or if you are already married, what was your favorite gift you received on your big day celebrating with your darling spouse?